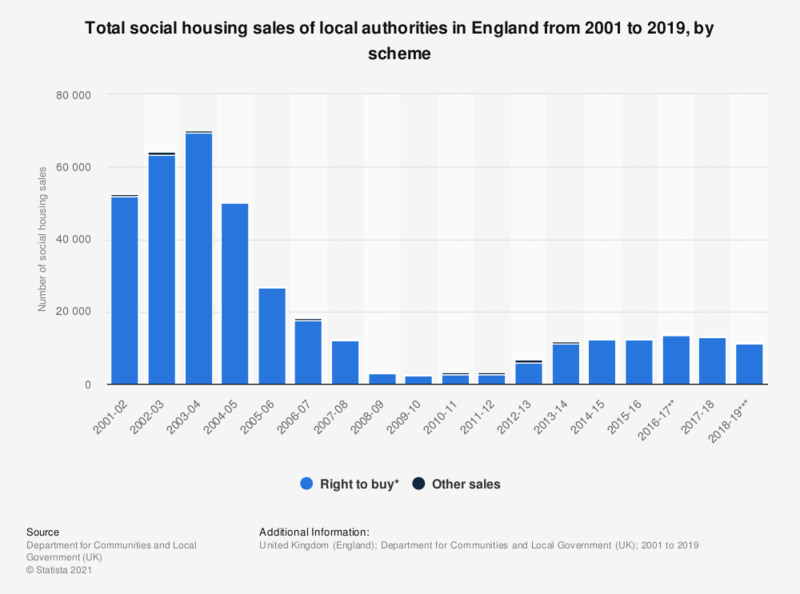 This statistic shows the annual sales of social housing from the local authorities in England from 2001 to 2018. In 2015-2016, the number of social housing sales without right to buy was 311. In 2018, this number decreased to 226, while sales via Right to buy scheme decreased to 11.8 thousand sales. * LA, Preserved and voluntary. ** In 2016-17 Voluntary Right to Buy sales have been included in the figure for Registered Provider Right to Buy Sales, before this it only included Preserved Right to Buy sales.